It was inventor Benjamin Franklin who wisely stated, “Don't put off until tomorrow what you can do today.” This quote applies to almost every field and area of interest, including dentistry. People avoid a dental checkup for a variety of reasons and increase the risk of causing more damage to their teeth. 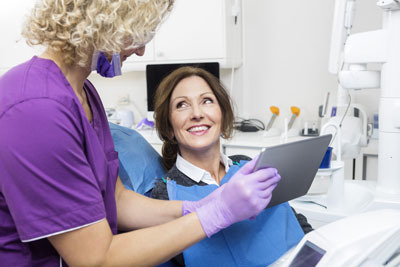 Here are seven signs that you should schedule a dental checkup at our Fort Lee office. The American Dental Association, ADA, explains that toothaches can involve pain in the mouth or jaw that will “usually indicate a cavity," but, "can also signal gum disease.” A toothache is a symptom of various dental diseases and means that one should get his or her teeth looked at by a professional dentist. An individual experiencing a toothache for more than a day will want to seek dental treatment as soon as possible. Since a toothache has a variety of causes, it can be difficult to treat without a professional consultation first. As with many of the signs and symptoms on this list, if the symptoms only last for a day or less, then it may not be serious. Sensitive teeth occur when an individual has trouble consuming hot or cold beverages. The ADA explains that sensitive teeth can result in “tooth decay, fractured teeth, worn fillings, gum disease, worn tooth enamel or an exposed tooth root due to gum recession.” Sensitive teeth can make it difficult to continue a regular schedule as even the simple action of drinking cold water can cause pain. If the gums bleed on a regular basis, seek a professional dental checkup as soon as possible. The ADA explains that this can be a sign of gingivitis. However, in other cases, a patient can also cause bleeding gums by brushing too hard. A dentist can help to determine the cause of the bleeding gums and offer the best treatment. The ADA states that oral sores can include “canker sores, cold sores, leukoplakia and candidiasis.” A dentist can help figure out the cause of the sore and offer the best treatment method. If a sore lasts more than a week, schedule an appointment with a dentist as soon as possible. Has it been over six months since the last dental checkup? If this is the case, then a dentist appointment at our Fort Lee office is even more critical. A dentist can clean between the teeth and discover the signs of infection before it can spread. Bad breath once in a while is normal since there are numerous causes of bad breath from certain foods to poor dental hygiene. 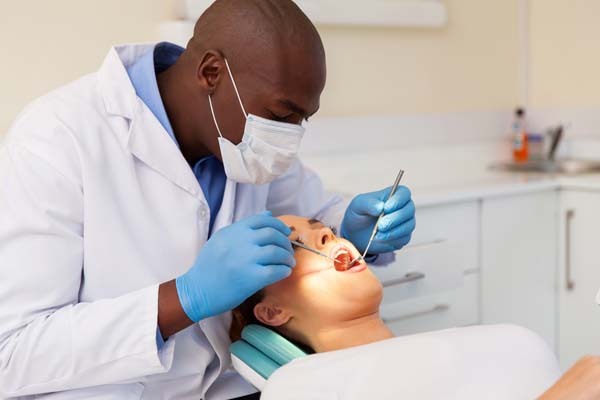 However, with the cases in which a patient has bad breath for several days despite proper hygiene, the patient will need professional dental care. A patient, who had any form of a dental implant or cosmetic dental work done in the past, will want to keep an eye on that area if he or she feels pain where the implant is. People believe that once they get the crown or the implant, they will not have to worry about their teeth ever again. While a dental implant will allow the patient to eat what he or she likes, there is still a chance it can come loose or break if the patient is not careful. When this happens, a patient should schedule a dental appointment immediately to take care of the problem. If you believe that you have a dental issue or are interested in scheduling an appointment, view these pages for more information.